Posted on May 5, 2014 by Candy McSween Posted in Food & Recipes, Main Dishes, Side Dishes	. It’s Cinco de Mayo, y’all. And you know how much we love our Mexican food here. Here’s a roundup of some of my favorite Mexican recipes for your celebration. Today’s menu for us includes tacos, made with my homemade taco seasoning mix. I’m also serving guacamole, of course! My guac recipe? Not so much a recipe. I simply mash some avocado with some lime juice, garlic granules, cumin and a dash of Adobo seasoning. Add salt and pepper to taste and mix well. Done. We have guacamole quite often, and why not? Avocados are a great source of healthy fat! If tacos aren’t your cup of tea, er… margarita?, then no worries. Serve up some Crockpot chicken Tortilla Soup with fresh, easy Pico de Gallo on the side. Or take the easy way out, order in and whip up a serving of Mexican rice to go along with your easy celebration. 🙂 Hey, no judging here! We’re all doing the best we can. Enjoy your day, no matter what it holds! 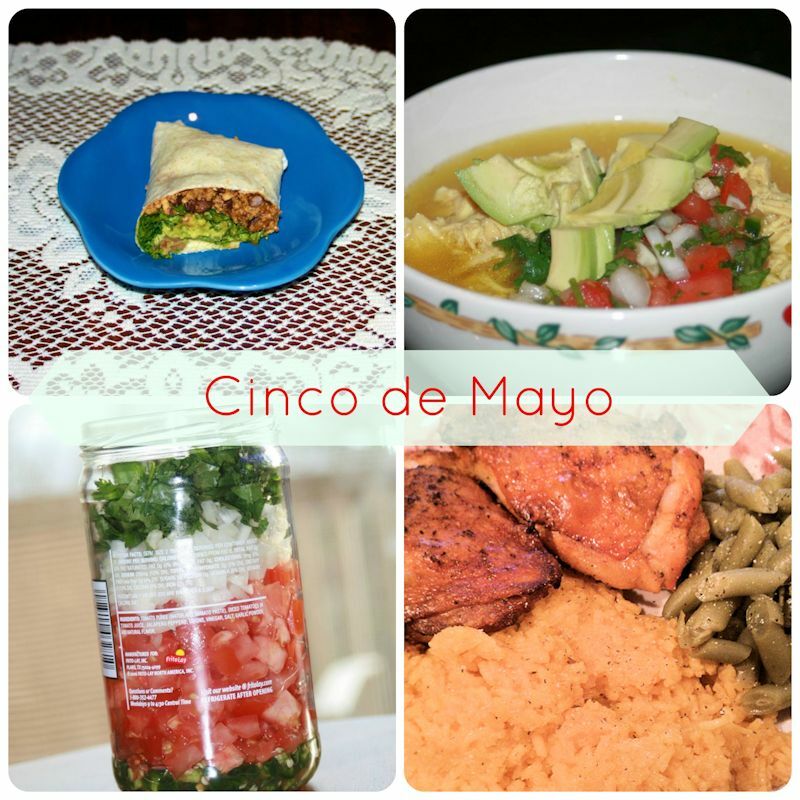 Tags: Cinco de Mayo, food, Guacamole, Mexican Food, Pico de Gallo, soup, tacos	.